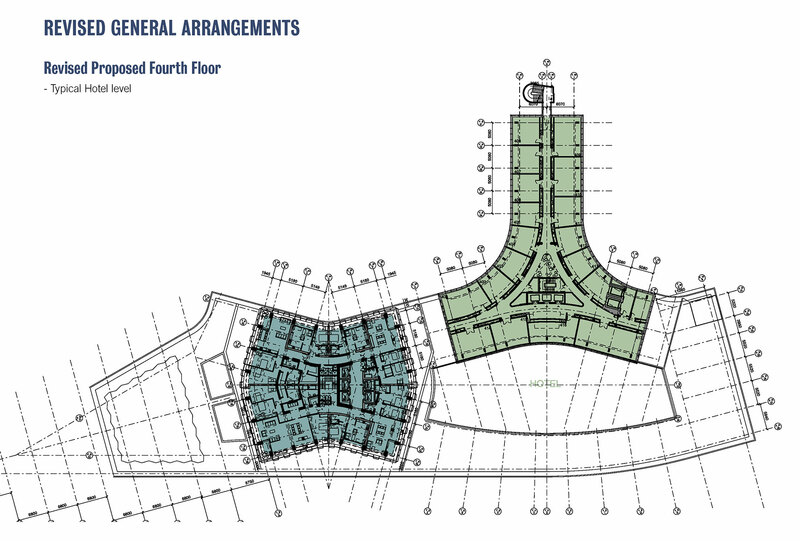 The proposed uses have not changed from those shown on the 2015 application. 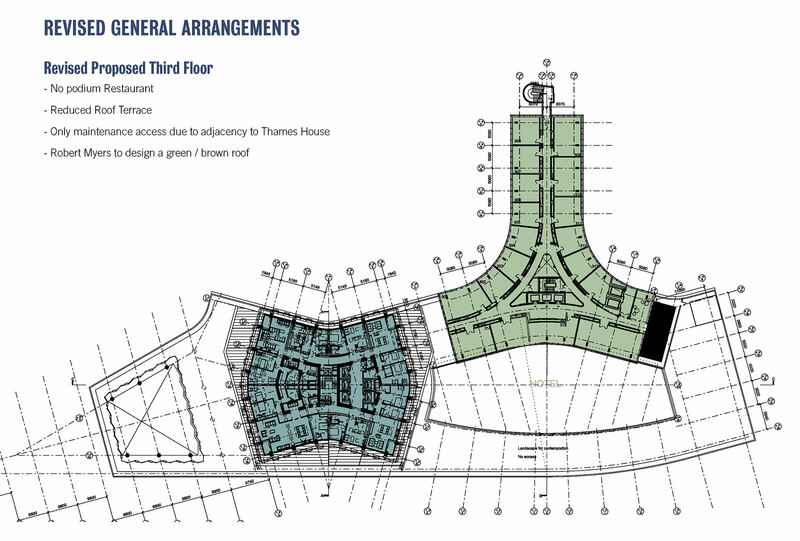 However due to the decrease in heights in the proposed scheme, the distribution of these has changed slightly. 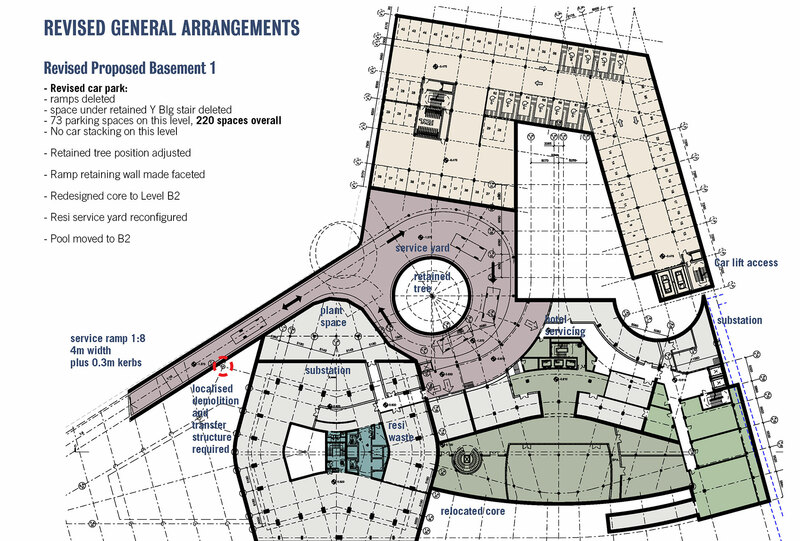 Starting at basement level the proposed uses distribution is as follows: The reduced basements are now on only two levels as opposed to three, and include valeted parking for the residential, plantrooms for all uses and hotel ancillary uses such as spa and gym, as shown on the revised layouts. 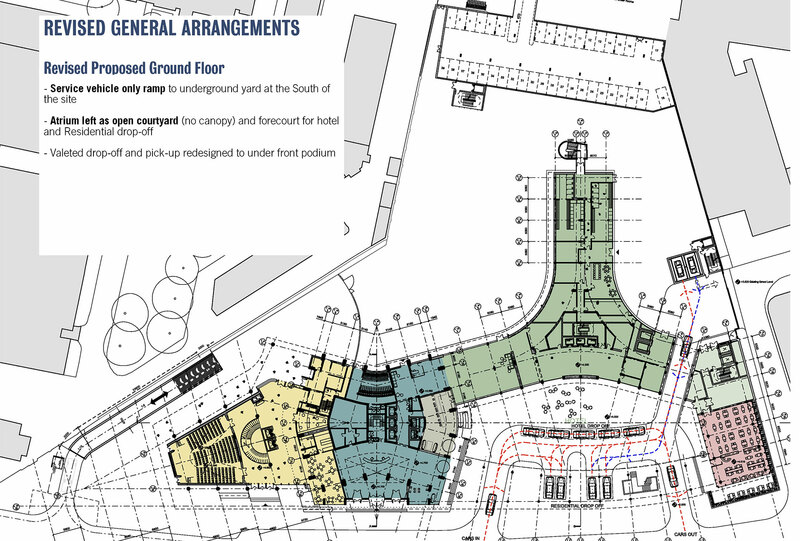 The ‘eye’ of the atrium no longer contains the hotel foyer, as it is now an external forecourt and drop-off for both hotel and residential. 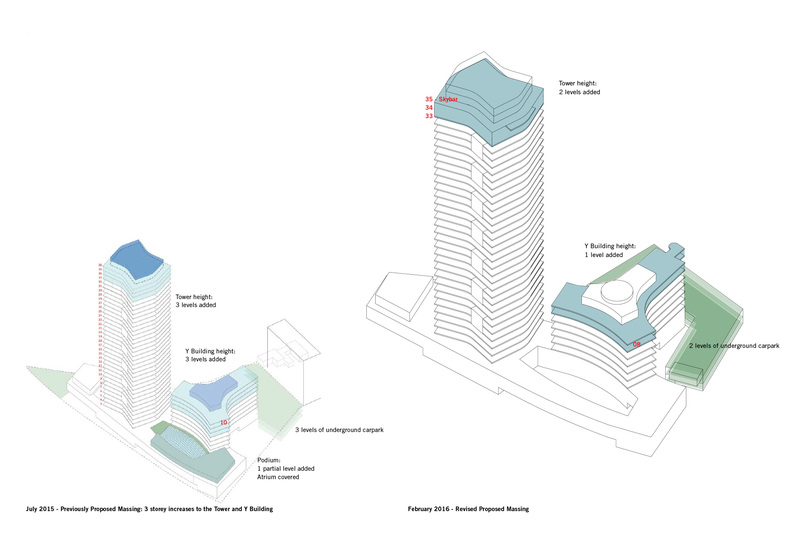 There is now no restaurant on the podium roof, and the front is accessible as a communal terrace for the residential. At the top of the tower, the skybar has been moved to the last occupied level in the top hat, now enjoying the 360 degree terrace over the residential. 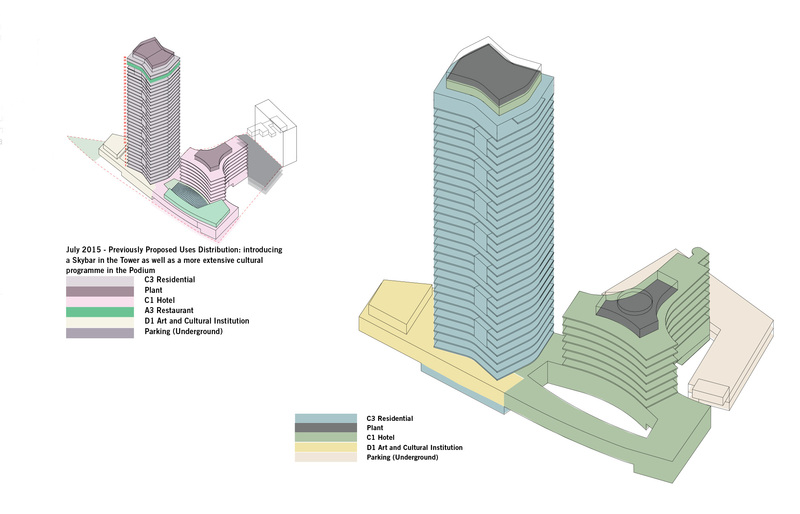 The proposed massing has undergone considerable change. 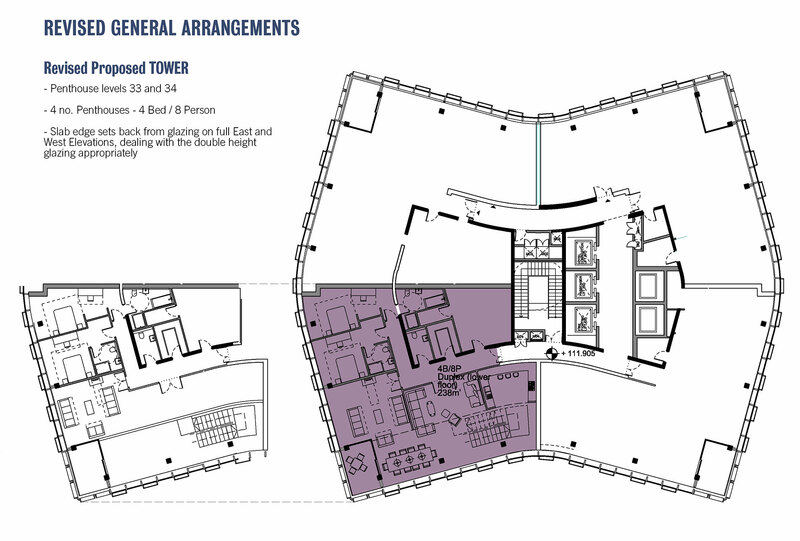 The revised scheme proposes only a 2 storey increase to the tower and a single storey increase to the Y Building vis a vis the existing. 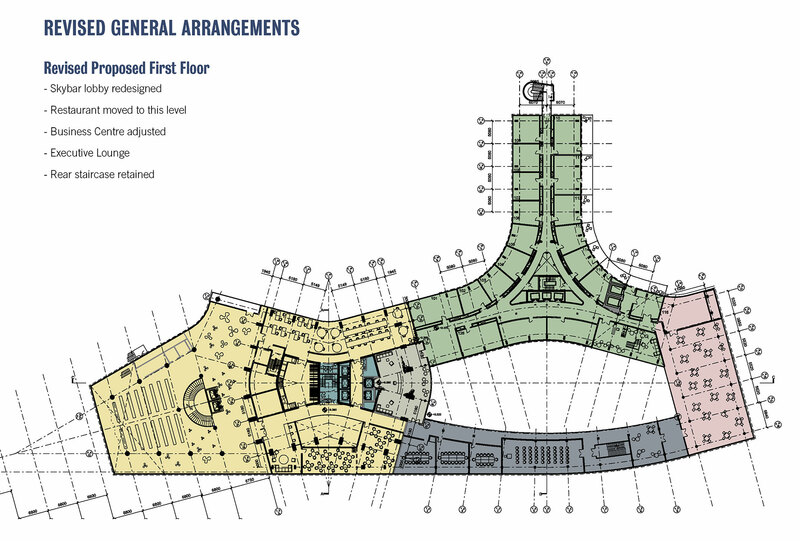 There are now no proposed additions to the height of the podium at level three, and there are no increases in footprint to the internal atrium to the podium, and no proposed roof over it. 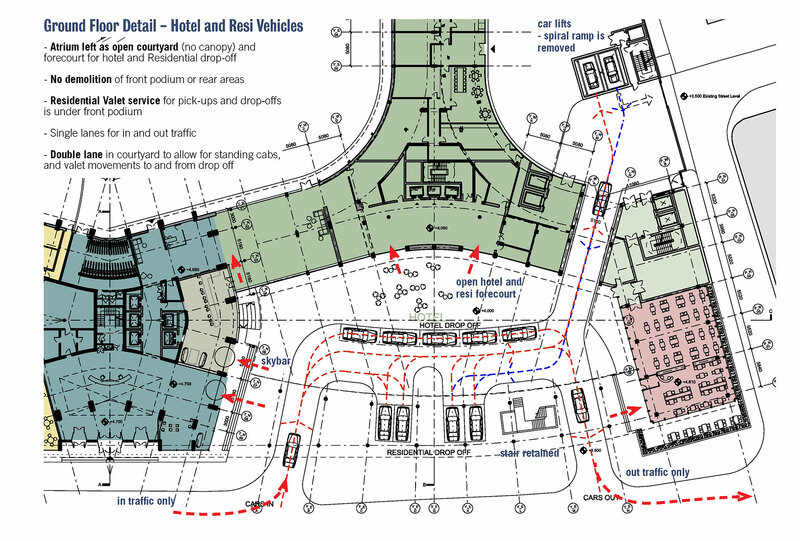 Also, we are now proposing only two levels of underground carpark. 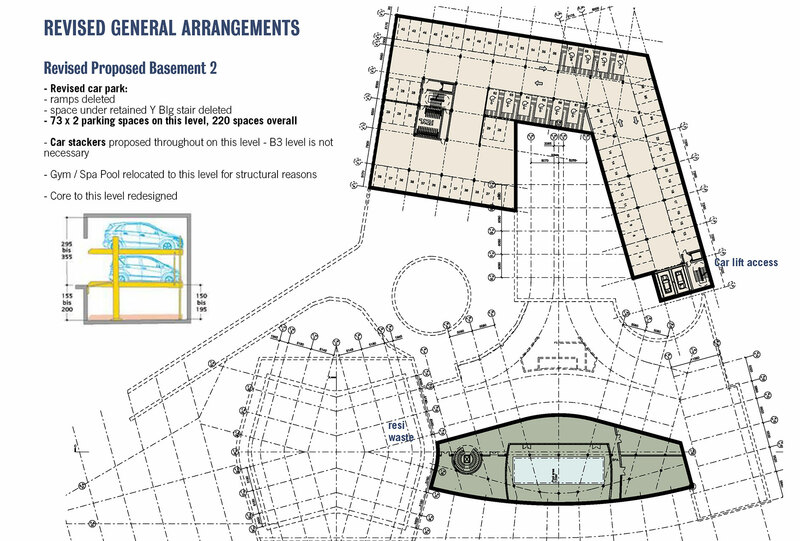 The Y-Building would increase by 3.3 metres, so the structure would stand at 37 metres from ground compared to the original 34 metres. 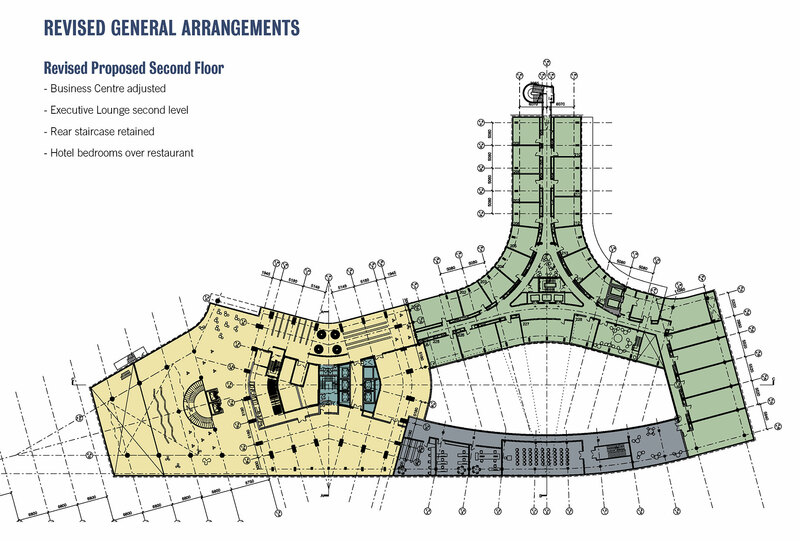 The tower would increase by 6.2 metres, so a previous height of 119 metres would increase to 125 metres tall. With both structures lengthening (albeit less than previously proposed), we still believe the end aesthetic result would be that of increased slenderness and elegance. 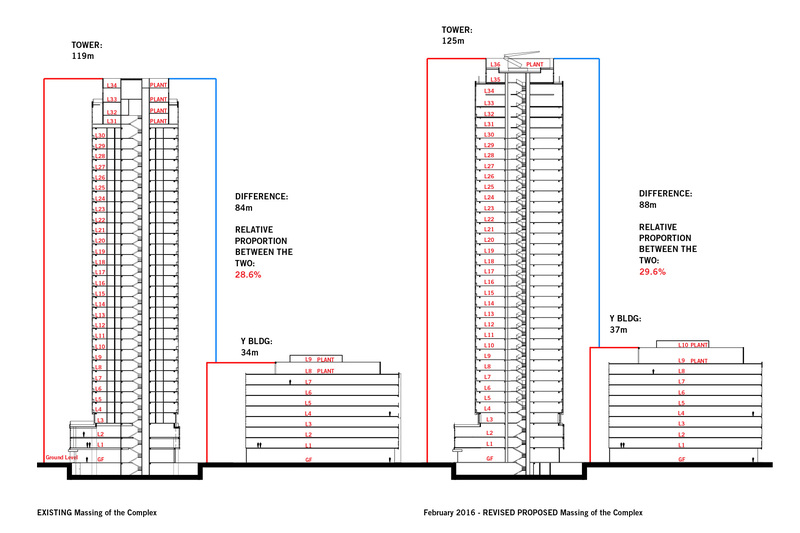 The proportion between these two taller structures of the Complex would still remain relatively the same; currently the Y-Building represents 28.6% of the tower, and in the proposed, the new proportion would be of 29.6%. A detailed summary of the changes is shown on the drawings below (click to enlarge).